We have been slacking on our Literacy Tuesdays but are now trying to get back into the routine. 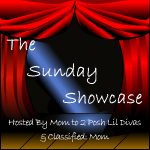 The difficulty I have is finding activities that can be adapted for both of my girls. I think I may have found a strategy that we can try and at the same time parts of it may work in my Kindergarten class next year (possibly a great way to create my ABC wall). We are going to focus on one letter every week. Eileen will focus on identifying the letter and Kaitlyn will focus on words beginning with the letter and other activities. I got this idea from the activities on the Kiboomu blog. They have a craft for each letter of the alphabet and I decided to start with S as it is the first Jolly Phonics letter. This was a last minute craft so we had to use what we had at home so we focused on sand – and this was a great first word for Kaitlyn. This was a very easy craft. 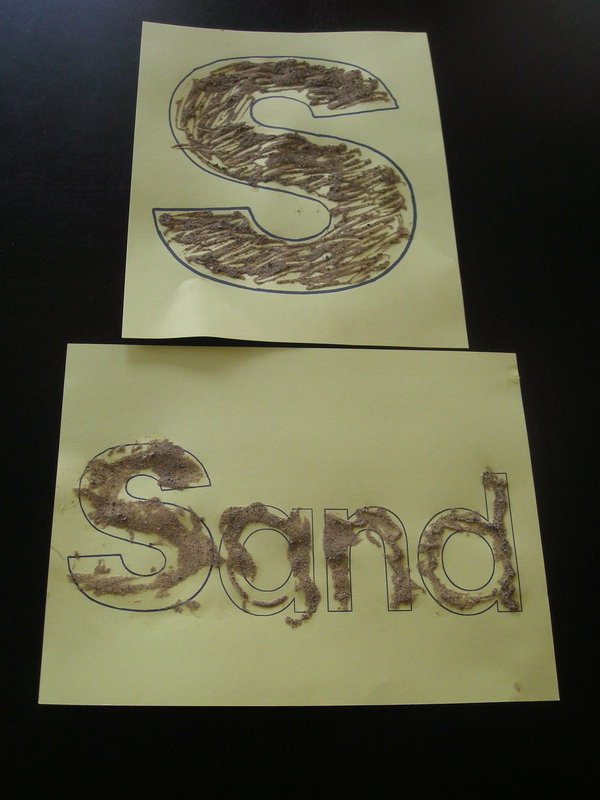 The key is getting a good amount of glue on the words to cover as much as you can with the sand. We used popsicle sticks to try and spread the glue. If I did this in my arts centre at school I would also have shells and small stones available to add to the S.
I also visited DLTK’s website for some other S ideas. We made Alphabuddy Sailor Sammy for our Alphabet wall and I also printed off the word search and mini book for Kaitlyn. The word search is a bit difficult for her, she had trouble finding words that are not horizontal from left to right. The book was fun for her to colour and us to read together but it is not a beginner lever reader. There are alot of blends (eg. sh, ai), but it does have great repetition. Now that I know what we are going to do every Tuesday it should be easier to stay on a routine (we have 26 weeks taken care of).